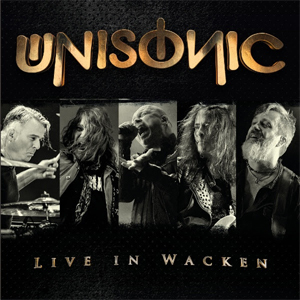 earMUSIC announces the release on CD + DVD of UNISONIC's 2016 Wacken Open Air show. With their 2012 self-titled debut album, UNISONIC unleashed a storm of enthusiasm. For the first time in 23 years, the two former members of Hamburg's metal institution HELLOWEEN — Michael Kiske and Kai Hansen – reunited to play in the same band. More than a few metal fans might have shed a tear. After the successful follow-up album Light Of Dawn (2014), a worldwide tour followed with memorable gigs in South America, Europe and Japan until UNISONIC, still at full speed, brought their energy to the small village of Wacken where one of the biggest and most spectacular metal festivals in the world takes place every year. You can enjoy it by watching a clip below. Like the studio albums, Live In Wacken was mixed and mastered by the band’s own Dennis Ward. "When The Deed Is Done"